Absolutely love this post. It shows personal and local history! Does your Gran still live in WsM? 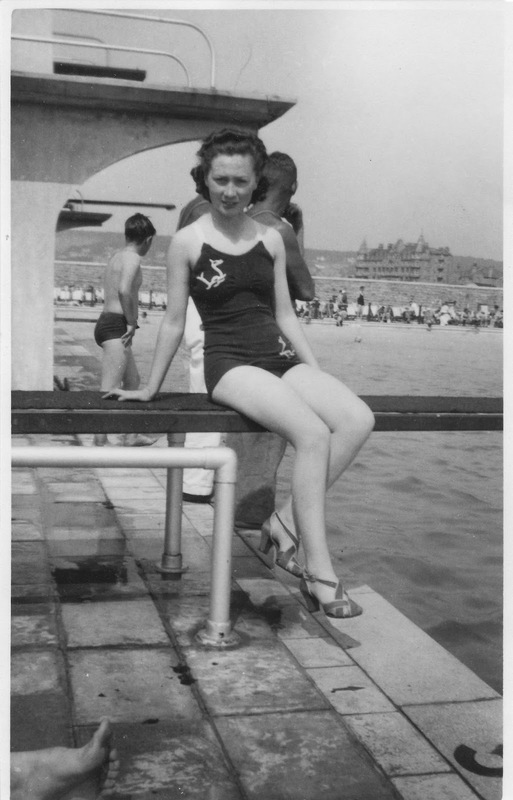 Glad you like it - she has a number of photos of weston dating from 1930s/40s. Great photo, Nicola. It's such a shame so many of the old lidos have been shut down, such a lovely concept. I haven't been to Weston-super-mare in years, though we're hardly any distance at all away now, living in Chepstow. I was born and bred in the Welsh mining valleys, in fact the next door valley to the Rhondda, just over the mountain! Great photo, Nicola. It's such a shame so many of the old lidos have been shut down, it's such a fantastic idea. I haven't been to Weston-super-mare in years, though we hardly live any distance at all away now we're in Chepstow! I'm sure it's changed lots since I went as a child. I was born and bred in the South Wales mining valleys, the next valley along from the Rhondda, just over the mountain! I agree Elli, it would be fantastic if they could make it into a functioning swimming pool again - it's such a waste.